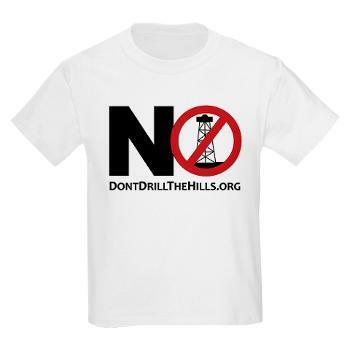 On October 8th, after months of waiting, Don’t Drill The Hills, Inc. (DDHI) finally got their landmark case before a judge. The Honorable James Alexander heard arguments from Don’t Drill the Hills attorney Timothy Lozen. Counter arguments were made by a cast of high-powered lawyers. Jordan* was represented by former Michigan Attorney General Michael A. Cox, Sunoco by attorney Troy C. Otto, and Rochester Hills by city attorney John Staran. Jordan Development’s Vice President, Ben Brower, was also present. Several news organizations were on hand and took statements from DDHI members. Although it was a David and Goliath-like match-up, DDHI attorney Timothy Lozen handled himself well. Mr. Lozen presented the salient facts and Don’t Drill the Hills was finally able to put its first legal challenge to the test. 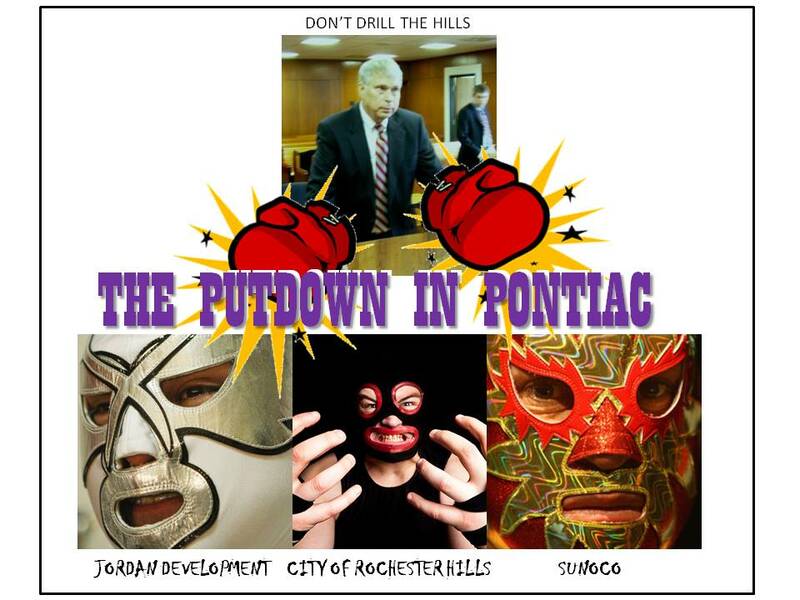 City and Oil industry lawyers tag-teamed the hearing like celebrity wrestlers on Saturday night TV. They made a concerted effort to obfuscate the issues. They attacked DDHI’s right to have their case heard on the basis that they had no legal standing – a typical legal maneuver designed to get the opposing attorney’s case thrown of court without addressing the actual legal argument. They argued semantics about what constitutes a sale or lease, and questioned whether real estate law (the “heaven to hell’ nature of the property with air and subterranean regions included) applies in this case. They also tried to drag in various immaterial points about the MDEQ, compulsory pooling and oil and gas drilling activities – none of which are germane to the case. All in all, the opposition threw a flurry of rather weak, poorly aimed punches. Mr. Lozen reviewed the situational history which resulted in the charter amendment. He pointed out that the issue of voter’s rights was the critical underpinning of our case. It’s important to note that our desired outcome would see the Jordan lease of Tienken and Nowicki parks invalidated. Even though the Sunoco work in Bloomer Park has already been completed, it was included in the litigation to demonstrate the unwillingness of City Officials to abide by the Charter Amendment. The Judge asked a number of direct and pointed questions of both sides. All in all, Judge Alexander did his best to accommodate an unusual circumstance where four lawyers representing four points of view were jockeying for position. A (written) decision from the Judge is expected sometime during the next four to six weeks. Once we receive the decision we will evaluate our next course of action: celebrate, or keep fighting in the Court of Appeals! * Jordan Development operates under so many names; it is becoming difficult to track.